Mobile devices are increasingly the primary way people access information on the Web. More and more users are carrying small computing devices with them wherever they go and can access the Internet regardless of their location. Whereas prior to the wide adoption of mobile devices, a user’s online life and offline life were partitioned by time and location, now there is less of a division. Users can carry their online friends with them and maintain a constant contact in the form of status updates and uploaded pictures and video, in a running social commentary that blurs the distinction between online and offline interactions. 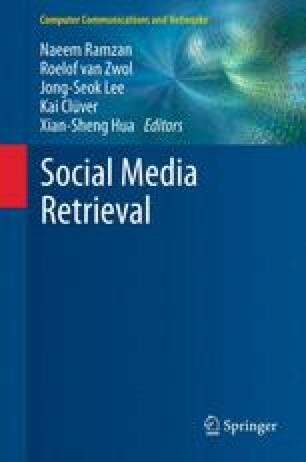 This has lead to a proliferation of data that connects a user’s online social network with their offline activities. As a result, the data they create provides a solid link between users, what they are doing offline, and what they are contributing online. The question is how to harness this content.